As the years progress, people have been becoming more aware and proactive about their health. This makes the supplements industry a big one and still growing. 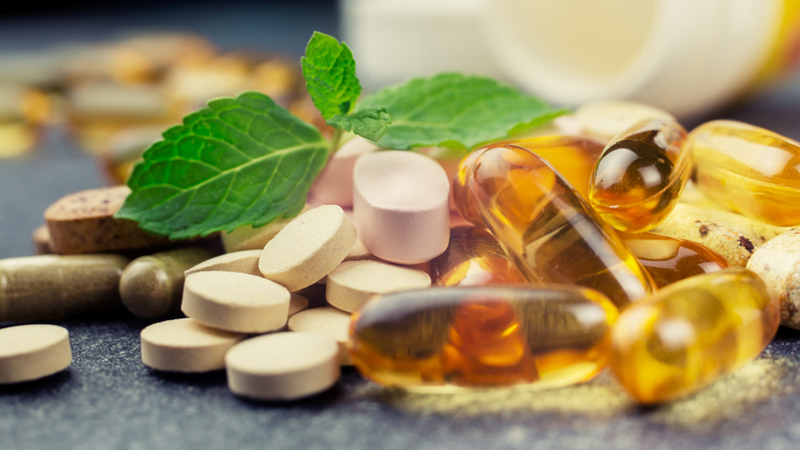 According to a report by Grand View Research, the global dietary supplements market is expected to reach 278.02 billion USD by 2024, at an annual growth rate of 9.6% from 2016 to 2024 . Two major growth factors in the supplements industry have resulted in more entrepreneurs looking to enter a very profitable business selling supplements online and offline. First, a growing aging population have continue spending in areas such as memory enhancement and joint strengthening are in the purchase in the pursuit of an pain free and enjoyable life in the senior years. The second primary driver is the increased consumer awareness for preventative healthcare due to the proliferation of information available on television shows, magazines, online channels, and other communication mediums. Since supplements are purchased on an ongoing basis, the need for supplements inventory management is great. Additionally, there are many different materials, blends, and brands, which makes inventory a nightmare. Prudent sellers thinking about entering this market would be well served getting an inventory management solution in place at an early stage as keeping track of supplements becomes challenging in a hurry. Finale Inventory makes it easier to be selling supplements online by offering a supplements inventory management software to keep your business up and running and productive at all times. Finale is a great inventory system to partner with to give you the best options for your company. We can help you manage your inventory so that you don’t have to deal with overstocking or overselling of your products. We also help with keeping your warehouses or other storage locations organized. Finale takes the guesswork out of inventory stock levels to help diminish holding costs. Our supplements inventory management software helps your business by processing your work orders, reducing the complexity of selling on multiple online marketplaces(eg. Jet, eBay, Amazon), bundling your products to make tracking inventory less difficult on you and your business, and by making it easy to track all of the products in your storage to the exact location. When selling selling supplements online in multiple marketplaces, it’s become challenging to track your inventory. With Finale, our cloud-based solution reduces the complexity of selling on multiple channels such as eBay, Amazon, and ChannelAdvisor. With our ecommerce inventory management solution, you can keep track of your inventory in one location. With cloud based software, everyone in your warehouse will be able to get a real-time view of all of your stock counts on any device with Internet access. With our solution, you won’t have to manually update your stock. If a sale is made, Finale will automatically update your inventory levels across all your selling platforms with minutes. Since the supplements industry is such a large one, there’s a lot of things you have to keep up with. With Finale, we will automatically calculate reorder points based on information that you input into our system so that faster and smarter purchasing decisions are made. When your stock quantities are low, Finale will send you an alert saying that you need to submit a purchase order. With Finale, we will always keep you updated on what your company needs, and with so many products, that is a great thing to have. Finale Inventory can work with you in order to keep your information updated and correct, which makes us a great choice. Since there are so many combinations and so many different products in the supplements business, tracking them is a difficult task. Creating different combinations allows sellers to differentiate themselves on the selling channels by offering listings not offered by other sellers. With Finale, our kitting or product bundling process for selling supplements online makes this much easier. Kitting is an assembly process in which separate but related items are grouped, packaged and supplied together as one unit. Finale updates your inventory whenever stock is taken to make a specific kit. Let’s say that someone ordered a supplement of a certain blend and material. When the kit is ordered, inventory is automatically decremented from each product that makes up the kit. This makes it easy for businesses who assemble their own products to track inventory levels of both finished goods and individual parts. With so many combinations in the supplements industry, our kitting process is a perfect way to keep track of everything going on in your warehouse. Track and create products in your warehouse clearly and efficiently with Finale’s lot id tracking method. Our own mobile barcode inventory solution speeds up operations and has advanced features like product lookup tables and automatic barcode learning. Using a mobile barcode scanner with Finale makes keeping up with all of your lots and making traceability something you will not to worry about as every lot and its movement will stored in the software. From start to finish, from receiving to shipping, track your per-stock-units to make your work more simple and less worrisome. The information about your products is permanently stored in the archives so that you can access the company’s lot id information at any time. The lot id system supports multiple ways for you to import information to assign lot id’s like manual entry, bulk import from an excel document, or through the mobile barcode scanner solution. This barcode solution mentioned above eliminates errors and saves you priceless time. This lot id tracking system makes managing your many items and combinations in your supplement business easier to handle and extremely effective. If so, another great feature of Finale is our POS(point of sale) integrations. To manage your supplements inventory at brick and mortar stores, trade shows, or any physical sale place, our POS system helps you track inventory across your sales channels in one location. We support multiple locations, so when a purchase is made in a physical storefront, Finale allows it to be tracked for your online and offline channels. Finale partners with many companies in order to make our POS system the best for you. Our integrations include Shopify, Vend, Lightspeed Retail, and Square. This allows for maximum efficiency for your company in order to keep track of your inventory. Upon a point of sale transaction, Finale will keep track of the inventory and can be configured to update eBay, Walmart, and other selling channels to prevent overselling. Do you also manufacturer your supplements? If you manufacture the supplements you sell online, Finale’s builds system makes it quick and easy to create finished products. This is a great feature for companies that need to track finished goods without the cost or complexity of an ERP (enterprise resource planning) system. We have specialized capabilities for distributors, manufacturers, and others that need to fulfill orders. You need to track the inventory items needed to build completed goods, so within Finale you will create a bill of materials in order to do so. A bill of materials is like a shopping list that tells someone in your company what exactly to purchase and how much in order to build something. As items in your inventory are used to create a completed good, Finale automatically deducts the items from your inventory and also alerts you when it’s time to re-order or when there aren’t enough items to create that product to allow to continue selling supplements online without a hitch. In order to track the finished item, lot ids or serial numbers are assigned to allow full traceability. The build is stored, and all information about the build is readily available for whenever you need it. The good thing about Finale is that you can utilize both build to order and build to stock systems which allows for a lot of flexibility. Bottom line, if you’re still wondering why a lot number is important, we hope that these reasons and more will help you grasp the full scope of why a detailed management system is better than one that doesn’t take everything into account. As a small business owner, you want your business to flourish and grow, and we can guarantee that something as simple and necessary as using lot numbers can help you reach this goal. ← Why is a Lot Number Important?